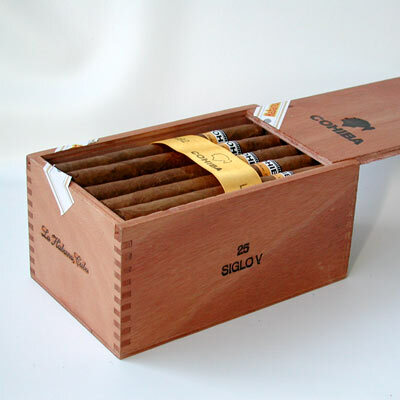 Cohiba Siglo V | Old Morris Tobacconist Victoria BC, Fine Cigars, Humidores and Tobacco Merchantile. 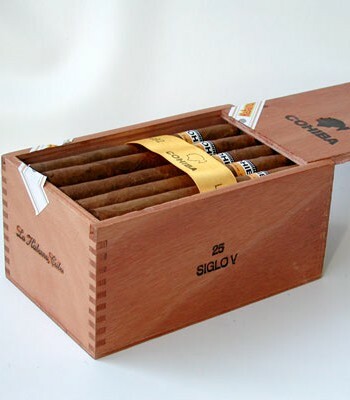 This particular Siglo is as sophisticated a cigar as they come. Crafted to burn through multiple levels, you'll smoke everything from light and clean flavours to dark complex phrases that unfold into bold and full-bodied floral aromas. This is a lithe and aristocratic stick with a killer body that will make you look sharp anywhere you happen to spark it up.